This carryover issue rumbles on into 2017 as the industry awaits Federal Motor Carrier Safety Association (FMCSA) studies that will affect rules regarding the reset option for driver’s rest periods. The issue was back-burnered by Congress this year, which rescinded implementation of new HOS rules pending the data provided by the studies. Many on the industry front line feel that new HOS rules needlessly extend away-from-home days for long-haul truckers and may make it more difficult to retain drivers. It can potentially reduce driver earnings, as well. How Congress will rule when the FMCSA studies are at last made available is a major issue for the upcoming year. Electronic Stability Control (ESC) systems are mandated for most new large trucks and buses in 2017. The Federal Motor Carrier Safety Association (FMCSA) believes that ESC systems in new trucks will prevent about half of rollovers and 15% of loss-of-control accidents. While implementation of ESC technology has generally been welcomed by industry interest groups like the American Trucking Association, it’s an issue with others representing independent drivers, such as the Owner-Operator Independent Drivers Association. Among other issues, the OOIDA has questioned the actual benefits of ESC compared to other existing technology, as well as the increased cost burden it passes along to independent drivers buying new rigs. While the growth of freight volume is expected to continue at a modest rate in the coming year, the number of qualified new drivers available to haul it isn’t keeping up. What’s more, the rapidly accelerating loss of a generation of experienced drivers who will soon retire hasn’t even peaked yeat—average age of working drivers is now nearly 55. When the good news is that truck driver turnover (currently at 87 percent) is less than the fast food industry, it’s not hard to imagine how dismal the bad news about the driver shortage issue is. It’s a fact many truck drivers now cope with daily. Areas where a large truck is welcome to park for required rest breaks or to await completing a delivery are vanishing. Many companies receiving shipments no longer allow trucks with trailers to park on the property while waiting for an available dock. State-owned highway rest areas, a common option for breaks along the interstates since the late 1950's, are also disappearing due to budget cuts. The requirement that big rigs park and/or drivers rest “elsewhere” is pushing trucks into risky areas where theft, vandalism and even assaults on drivers are common. 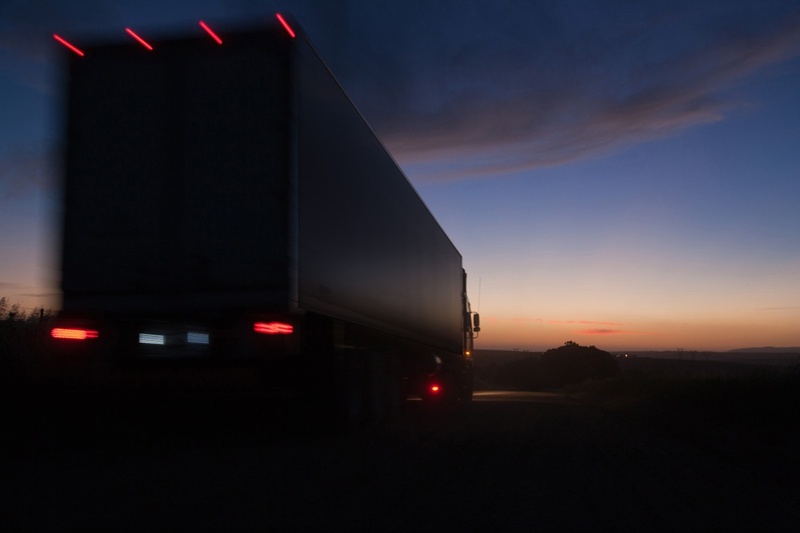 A perennial source of controversy since it was introduced in 2010, the FMCSA’s Compliance Safety & Accountability (CSA) initiative established seven behavioral analysis factors to score both carriers and drivers on safety risks. Many industry interests contend that CSA factors aren’t a reliable predictor of safety. Moreover, inconsistencies in the process utilized to collect and report CSA data as well as issues about how accountability for crashes is allocated—for example, when the truck driver is clearly not at fault—combine to keep CSA in the “issues” category for the foreseeable future. Have a look at what we saw last year at this time in the article titled: Innovations to Look For in the Trucking Industry for 2016. Vice President, General Manager & Co-founder of Roland Curtains Inc. Pete was the first US employee for Roland International opening the US manufacturing business while creating sales in North, Central, and South America. Get a copy of our White Paper by subscribing to our blog!